Item Number: 92-2-54A 19280 Actual Weight: 5.5 lbs. Organize and neatly store bulky files, notebooks, and manuals. Reinforcement strip at bottom of folder keeps contents upright and helps to prevent folder from bulging. Folders are slotted in the front and back to accept tabs. 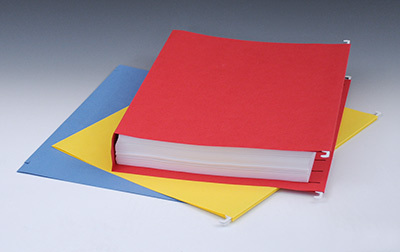 Choose from 1"-3" expansion folders in letter or legal sizes.